children – Teach. Empower. Transform. Ashley is a lively, ambitious seventh grader, returning to FLOC for her second year in the Scholars program and her fifth year of tutoring. 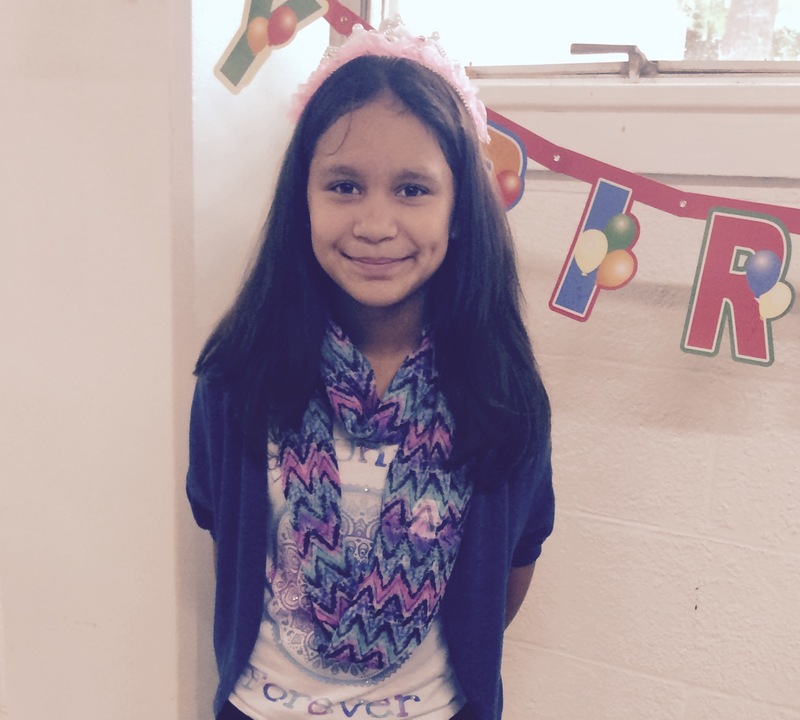 When she first came to FLOC, Ashley was quiet and reluctant to answer questions in school. Today, she says that her FLOC tutors and workshops have given her more confidence and made her excited to participate in class. “It’s great to raise my hand and know I have the right answer,” she said, grinning. 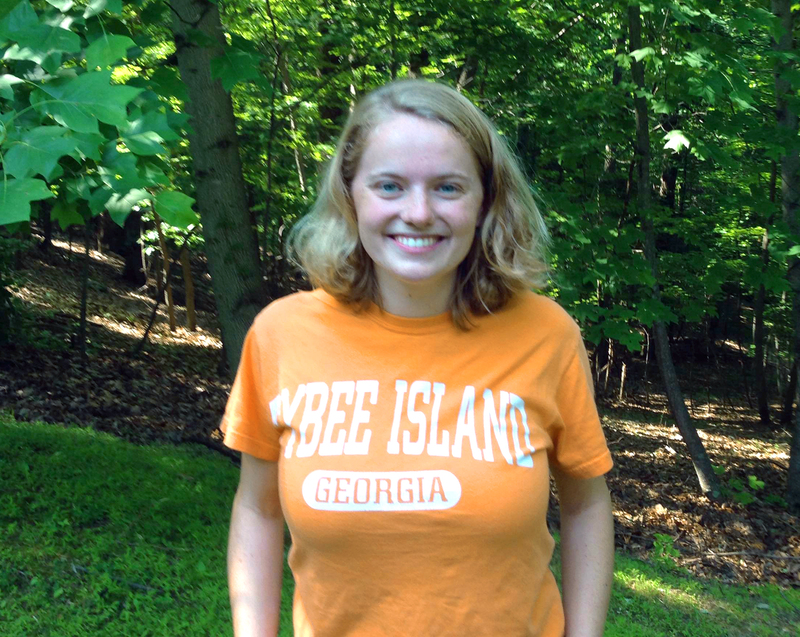 We’re looking forward to having Ashley back for another great year at FLOC! 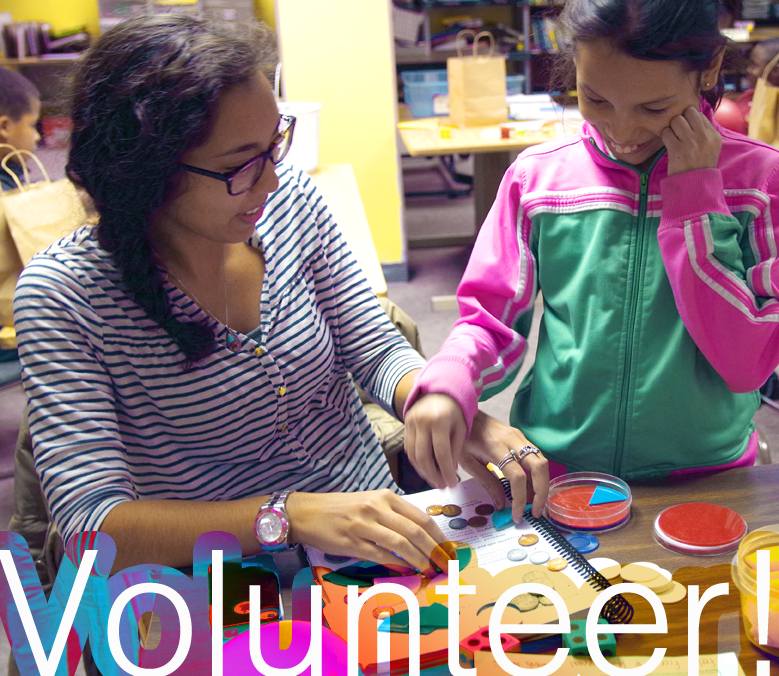 It’s back to school time, which means it’s prime volunteer recruitment season here at For Love of Children. Here are just a few reasons you should volunteer with us in 2015-2016. 1. Because our students are incredible. Really, this could be the whole article. We could show you 12 faces with 12 unique stories and you’d be convinced. Our students will inspire you with their plans for the future and their resilience. They’ll impress you with their creativity, their questions, their insight. They’ll make you laugh. They’ll challenge you to be your absolute best, because these young people are going places and you’ll want to be along for the journey. 2. Because you can be a part of new things and growing programs. We’d love for you to join us in any of our programs, but in particular we’re excited to debut a new program this year at Savoy Elementary in Anacostia. Be a pioneer! Help us get this brand new late afternoon/early evening Wednesday reading program started on the right track! 3. Because you want to build new skills and be a life-long learner. Maybe you’re a high school student preparing for the SAT (did you know you only have to be 16 to tutor with FLOC?) or a college student preparing for the GRE, or perhaps you’re studying to audition for Jeopardy. What better way to keep your own skills sharp than by spending two hours every week working on the fundamentals with someone else? Maybe you’re thinking about a career in teaching or counseling or the nonprofit sector and want to test the waters, or you’re retiring and looking to stay engaged post-career. Maybe you just like learning new things. PERFECT. We’re all about learning at FLOC, and that definitely doesn’t end with our students. 5. Because volunteers live longer. It’s true. 6. Because others have laid the foundations, but you can help us reach higher. Slowly but surely, the needle is moving on educational outcomes in our city. Be a part of the movement. 7. Because education = empowerment, and it has the power to transform not just individuals but whole communities. Maybe you’re convinced you want to get involved in your community, but you’re torn between direct service work and advocacy. Well, education combines the best of both of these worlds! You get the relationships and the immediacy of direct service AND the far-reaching impact of empowering the next generation of leaders, thinkers, and change makers. 8. Because you love to read / are just nuts about math / are psyched about college and careers… and you have to share it. We love your enthusiasm. FLOC is a super fun place to be, so you’ll fit right in. We read books. We play board games and Jenga and Connect 4. We kick soccer balls in the hallway. We play math hopscotch. We excel at something called trashketball that you’ll have to come to program to understand. We write stories and illustrate them. We invent our own colleges with their own mascots and slogans and entrance requirements. We video chat with computer developers in Pakistan. No big deal. 9. Because it’s our birthday…help us celebrate! FLOC was founded in 1965, so this year we’re celebrating the big 5-0. What we want most of all is for you to get involved. Don’t miss the party. 10. Because you made it. We ask all prospective volunteers to tell us “why I want to volunteer with FLOC.” There are two kinds of answers that pop up over and over again. One goes something like this: “I struggled in school…” or “I was the first in my family to go to college… I would’ve loved a program like FLOC when I was a kid.” Another is more like this: “I had an amazing support system that got me through my education.” And both of these kinds of answers come around to the same conclusion: “And so I want to give back and invest in the next generation.” One way or another, you’re living a success story. Let’s write more. 11. Because you CAN. No, really. We promise. You can totally do this. You don’t have to have any experience to volunteer. We provide training before you start, a curriculum and/or lesson plans to get you started, and regular check-ins with our awesome staff to help keep you and your students headed toward success and having the best time possible. Don’t be nervous if you struggled in math yourself or if you don’t remember the precise definition of an adverb. Our curriculum and training will get you all caught up. Plus, sometimes the person who struggled is the absolute best person to help somebody else. And there’s something for every schedule! Saturdays, weekday evenings, weekday afternoons. You can definitely fit it in. 12. Because we can’t do this without you. 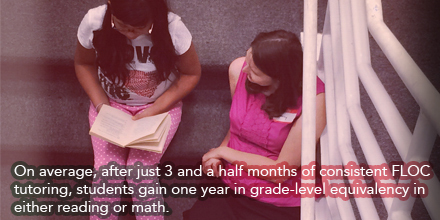 Our Neighborhood Tutoring program is one-on-one, so every volunteer who commits is one more student we can enroll. In our Scholars program, volunteers allow us to provide more individualized support, deeper conversation, and a stronger learning environment. 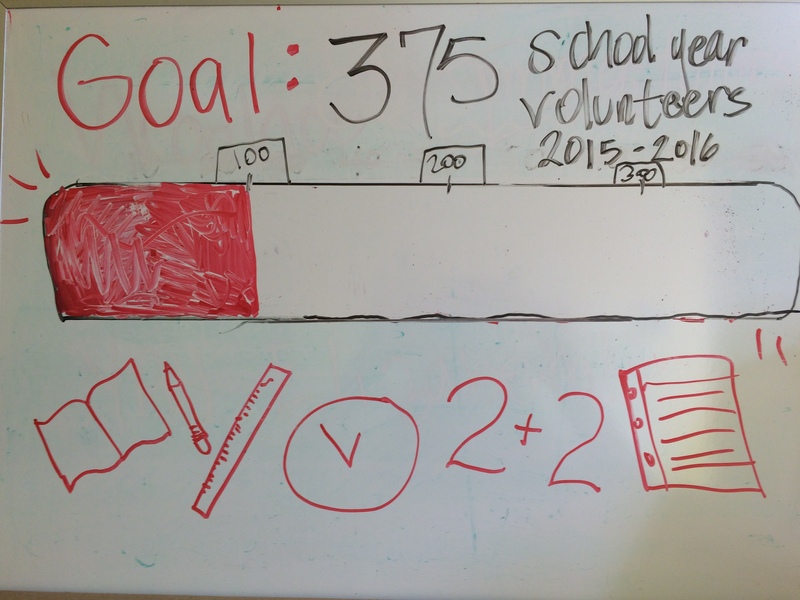 Will you help us reach our goal this year? Surely you’re sold by now, right? Visit our website to fill out an application for new volunteers. (Or if you’re a previous volunteer and want to get re-involved, you can fill out this form for returning volunteers.) We can’t wait to meet you. 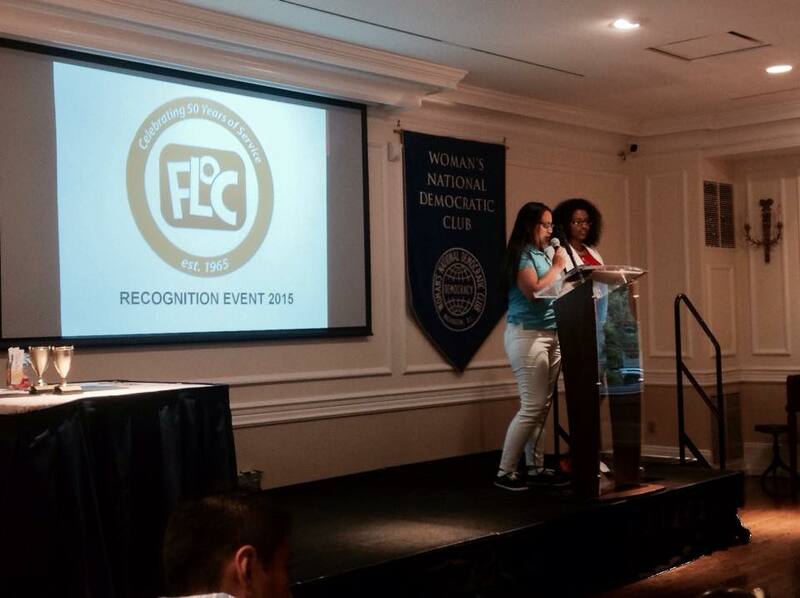 On Friday May 29th, FLOC held its annual recognition event at the Woman’s National Democratic Club to celebrate all the amazing work our students, families, volunteers, and staff accomplished throughout the year. 11th grade Scholars Ghelatia and Johanna emceed, and FLOC staff gave out special awards to students and volunteers in four different categories: Visionary, Unity, Champion, and Empower. 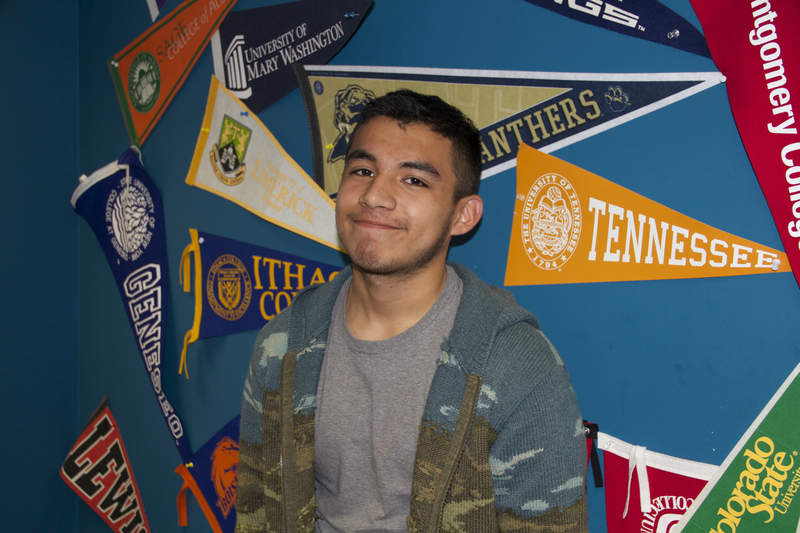 The Visionary Award celebrates students and volunteers who have a specific goal, a vision for the future, and have identified paths toward that objective. The Unity Award celebrates the people at FLOC who demonstrate exceptional relationship building or mentoring skills. Student and Tutor Pair: Delchristoff and Jason Aiken. The Champion Award recognizes students and volunteers who are dedicated and committed to their program. The Empower awards are given to people who embody all of FLOC’s values. They go above and beyond in whatever their role is. FLOC also recognized our 8th graders in Scholars and tutoring for an exciting time in their lives. They are all halfway toward completing their postsecondary degrees! To celebrate FLOC put together some High School Survival Kits. The kits included a FLOC notebook, a FLOC water bottle, a folder they could take on college tours, pens, pencils, and candy. The night ended with time for chatting, eating food, playing games, and taking pictures at the FLOC photo booth. 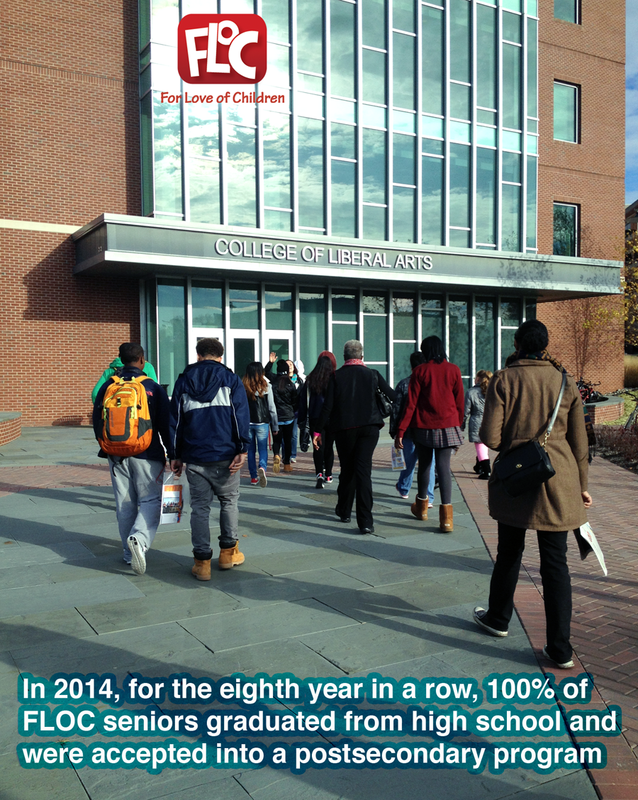 FLOC is excited to see what our students, families, and volunteers will accomplish in the future! Join FLOC on Saturday, November 15, 2014 at the Pepco Edison Place Gallery, for our Eighth Annual Book Festival! The Book Festival is an opportunity for FLOC students and their families to celebrate the importance of reading and literacy. Last year, with the help of our sponsors and book drive partners, FLOC was able to give away over 1,170 books to the 73 students that attended the event. This year, we are pleased to partner with Teaching for Change to provide our students with inspirational and thought-provoking books featuring stories about diverse young people making a difference in their families, communities and the world. To support FLOC’s Book Festival, you can purchase one of these moving children’s books from Teaching for Change’s book store at the 14th Street Busboys and Poets. Students will be able to pick brand new books to bring home and add to their own personal collection thanks to your generosity! This year’s event will feature local children’s author Debbie Levy who will read excerpts from her book We Shall Overcome: The Story of a Song. On Friday, August 22, Beyoncé’s philanthropic initiative #BeyGOOD and the Brooklyn-based backpack company STATE Bags partnered with DC Alliance of Youth Advocates (DCAYA) to provide elementary school children from under-resourced communities a back-to-school pep rally. The event took place at Turner Elementary School where 250 children from across the city joined together for a high-energy “Pep Rally for Good” culminating in the students receiving custom-made backpacks and school supplies. The event was part of the #BEYGOODxSTATE “Give Back Pack Program” happening in five other cities along the East Coast. FLOC’s Neighborhood Tutoring Program sent 15 families to the “Pep Rally for Good” where they enjoyed music, food, and the opportunity to get the essential school supplies their children needed to start off a new school year free of charge! This photo highlights one of our FLOC families that attended the event. 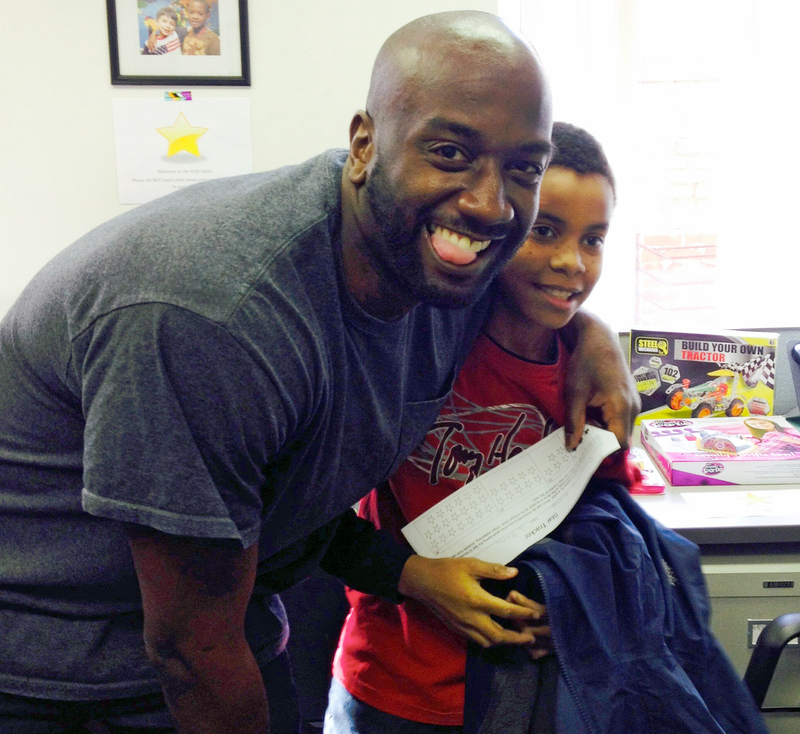 Davis is a rising 4th grade student who has participated in the Saturday Math program for the past couple of years. Last year alone, he was able to master Carrying in Addition and worked steadily on learning Regrouping in Subtraction. 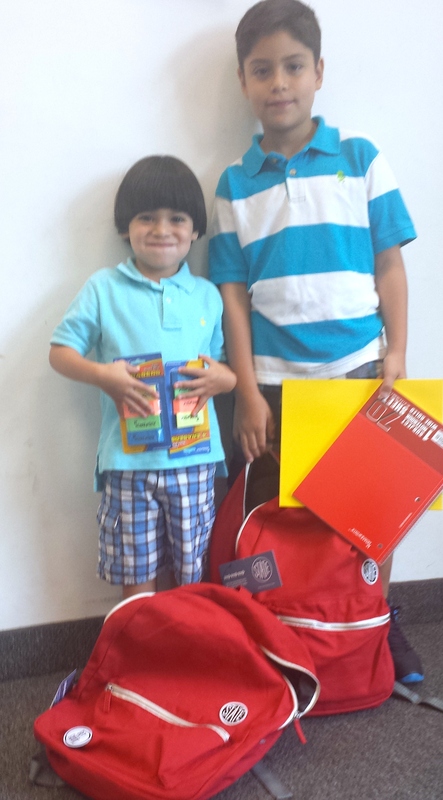 His younger brother, a rising Kindergarten student, also received a book-bag and supplies. We wish them both the best of luck this school year, and we are sure they will put the supplies they received to good use! I love this time of year for many reasons – one of which is definitely NOT the frigid temperatures! I love it because of the time I get to spend with my loved ones, relaxing and recharging after what is most often a busy year that’s gone by too fast. I also love it because I find this time of year to be one of the most generous times: a time when people capture the true spirit of the season – realizing it is truly better to give than to receive. There are few things better than picking out the perfect gift for someone, volunteering your time at a local nonprofit, or opening your checkbook to help support those groups in need. 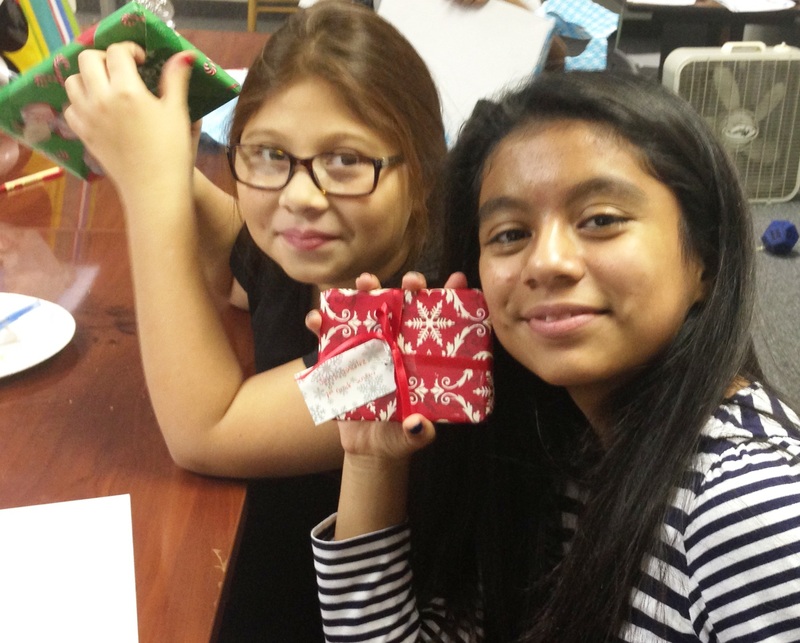 I see this same generosity and spirit in FLOC’s generous gift drive when donors purchase gifts so that every single one of our students has a gift this holiday. I also see it in the generous FLOC donors who continue to donate year after year. To them, and to all of you who do the same this time of year and beyond, thank you! At For Love of Children we’re also ready for some rest and relaxation! Our staff is busy wrapping up program before the holidays and reflecting on the successes of the year, while looking towards the year to come. A lot has happened in the world around us in the past year on local, national, and international levels. But, no matter what has happened around us, all of us at FLOC are reminded that our work is critical to the children and families of this city. 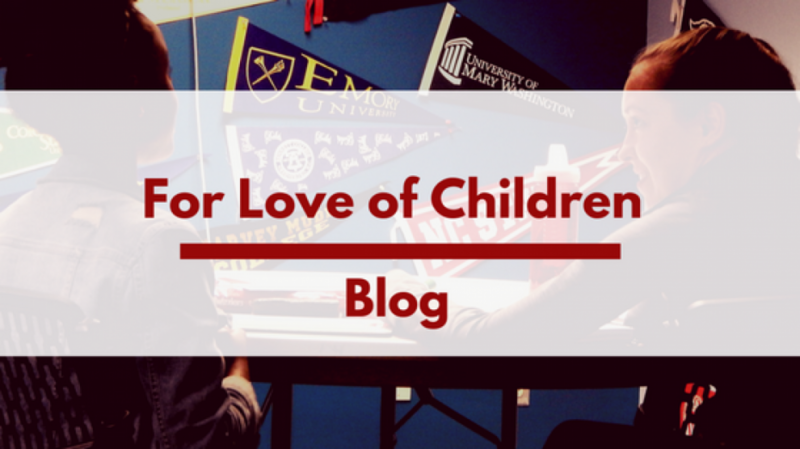 For Love of Children was founded in 1965 by a community of volunteers who heeded a call to action. They joined one another, united in a sense of hope and motivated by a common mission. Throughout FLOC’s 48-year history, we have been guided by the core values of our founders: to help children thrive and to offer them the educational opportunities they deserve. We still come together as a community united by hope, dedicated to the belief that individuals, working together, can bring about lasting and meaningful change. Although I don’t interact with our students on a daily basis, the stories I hear inspire me to keep coming to work each day. Stories like that of Aliyah, a current 8th grader, who provides an example of what can be achieved through hard work and focus. Everyone who worked with her saw her determination and drive to really “buckle down” and work. She moved through the curriculum at an impressive rate, passing 13 lessons over the course of 6 weeks – her tutor had to work hard just to keep up with her! When the dust settled, she had made almost two years improvement in her fluency skills, and nearly three years of improvement in her general calculation abilities. 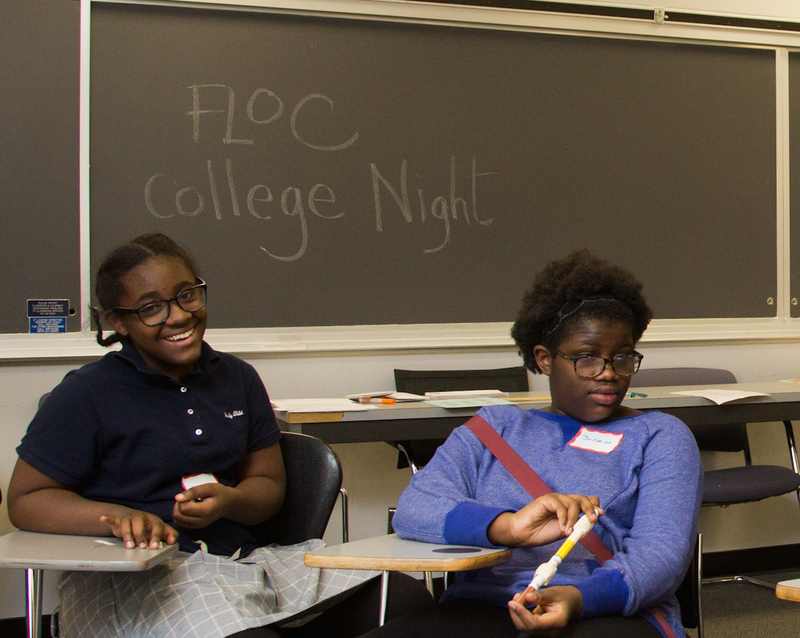 Aliyah is focused on what she needs to do in order to find academic success, and FLOC is ensuring that she gets there! 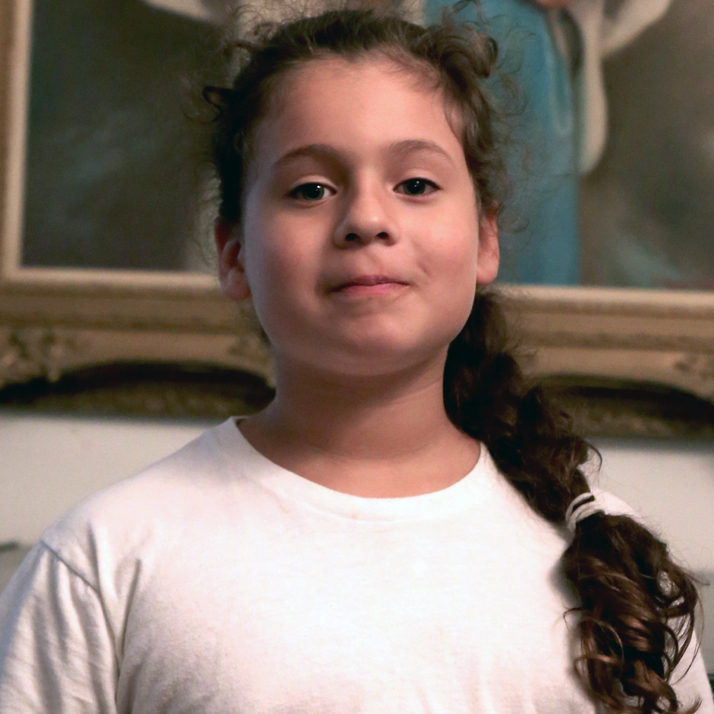 Aliyah is just one of the nearly 600 students we work with each year. However, we can’t do this work alone. So, during this special season of giving, we’re asking you to join us in continuing to help students like Aliyah, and all of the students we work with at FLOC, realize their own potential all year long. If you’re interested in making a donation and joining us in our work, click here. You can also mail us a check or call Ellie Haga at 202-349-3500 to make a donation over the phone. Finally, I would be remiss if I didn’t mention my thankfulness for the amazing staff and volunteers that also help to make our work possible. So, on behalf of all of the students, families, and staff at For Love of Children, we send warm wishes for the happiest of holidays and a safe and healthy New Year. (Ellie Haga is the Operations Manager at FLOC).